An Evening of Hope at the Galt House August 17th | Joe Hayden Real Estate Team - Your Real Estate Experts! The Galt House at 140 N. 4th Street in Louisville will proudly celebrate “An Evening of Hope” in recognition of Cancer survivors and the medical miracles that help them. This renowned annual event will take place on August 17th in the luxurious Grand Ball Room. The festivities will begin at approximately 6:00 p.m. and end at 11:00 p.m. This is a black-tie gala with tickets starting at $50 per person. Those interested in multiple tickets will find group rates available starting with tables of 10. The “Evening of Hope Gala” has become one of the most celebrated premier events in Louisville and this year, the organizers have pulled out all the stops. The evening will begin with hor d’oeuvres, cocktails and a special live auction featuring spectacular items up for bid. The party will continue with live music, games and dancing. There will be several distinguished award presentations including the one the event itself is named for, “The Spirit of Hope”, and the Physician of the Year. The American Cancer Society has been researching new methods and helping to increase the number of Cancer survivors for almost a century. The “Evening of Hope” is their way of celebrating the continued increase of survivors every year and those that make it possible. 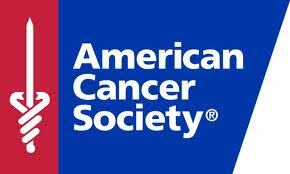 Come out and celebrate an “Evening of Hope” with the American Cancer Society at the Galt House Grand Ball Room located at 140 N. 4th Street on August 17th!